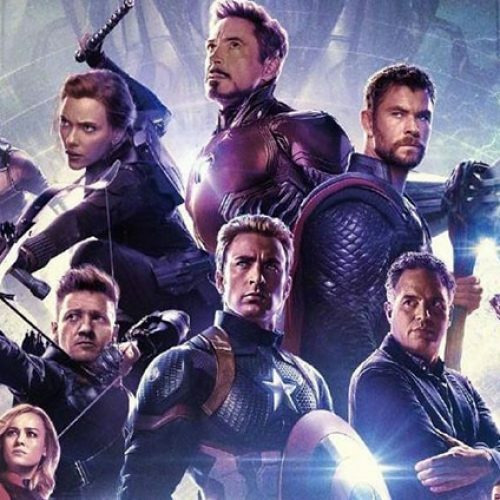 Marvel Studios recently released a bunch of characters posters for Avengers: Endgame this week. 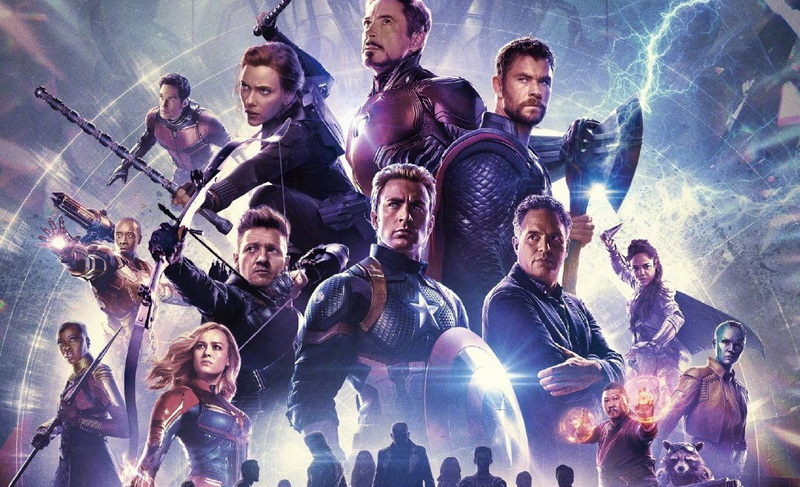 Half the posters featured survivors like Captain America, Iron Man and Thor, and the others featured the fallen including Black Panther, Nick Fury, Star-Lord and Gamora. The posters were evenly split between the survivors and the fallen, with the black and white posters representing those who are gone. 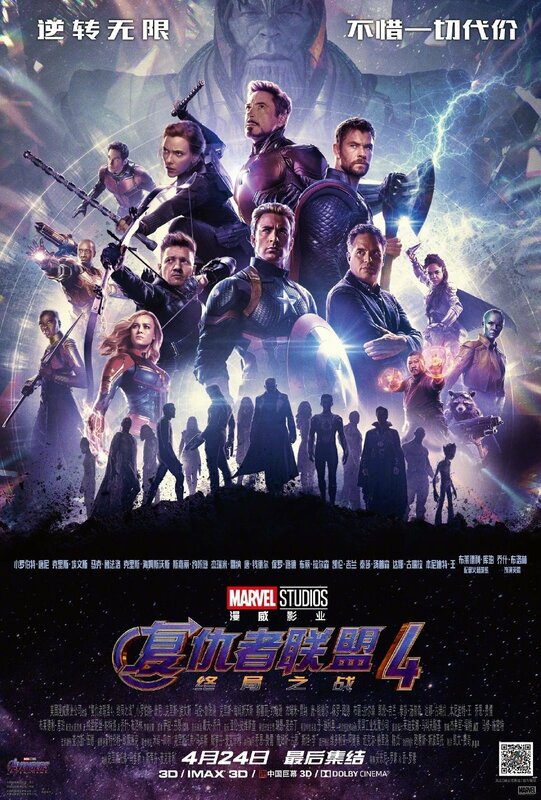 Now we have a new Chinese poster that puts all the surviving heroes together as they get ready for battle along with the silhouettes of the fallen at the bottom. 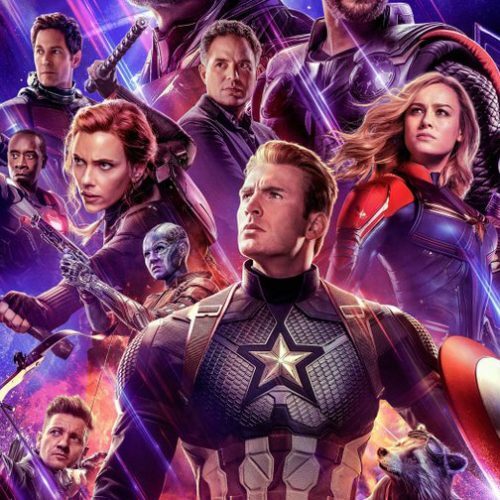 There’s also the April 24th release date for the country, which gets it two days earlier than the U.S.
We haven’t seen much of Thanos in the trailers, but with this poster, he’s looming in the background with his battle gear. 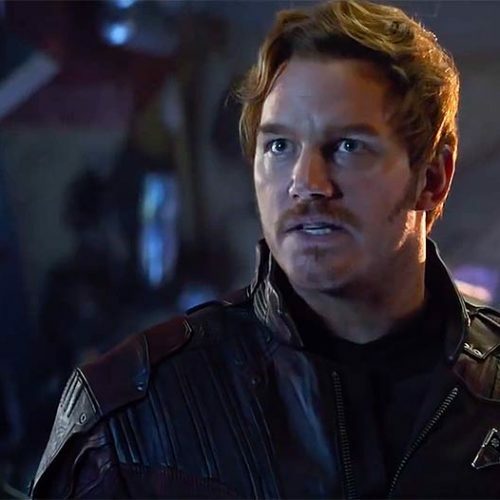 The Russo brothers have mentioned that Thanos wore his casual clothing in Avengers: Infinity War since he didn’t feel threatened. As you can see from the poster below, he has his armor, and that means it’s about to be serious. With this new poster and the character posters, we’re definitely getting the return of Tessa Thompson as Valkyrie. What has she been doing all this time? It looks like she’s definitely a survivor from Thanos’ attack on the Asgardian ship while also surviving his snap. 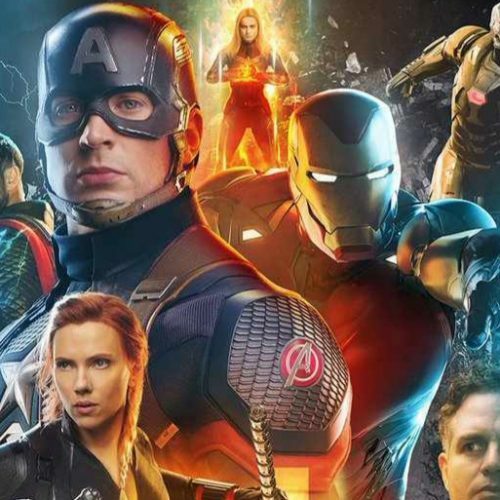 The characters missing from the Chinese poster who were featured in the character posters include Loki, Pepper Potts and Happy Hogan. Perhaps they won’t be fighting in the final battle.